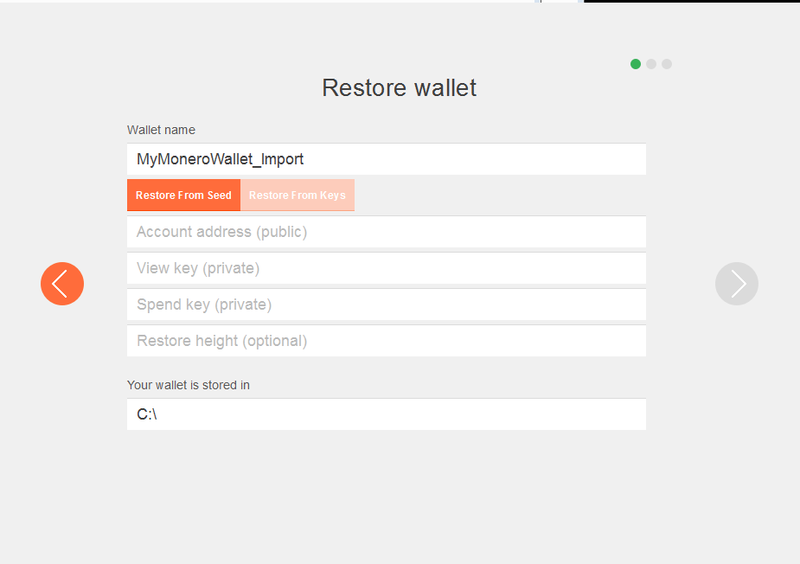 How can one import a Monero wallet via Private Keys (from mymonero.com / moneroaddress.org for example) into the GUI wallet? Is there a possible way via Private Spend- and View-Key? 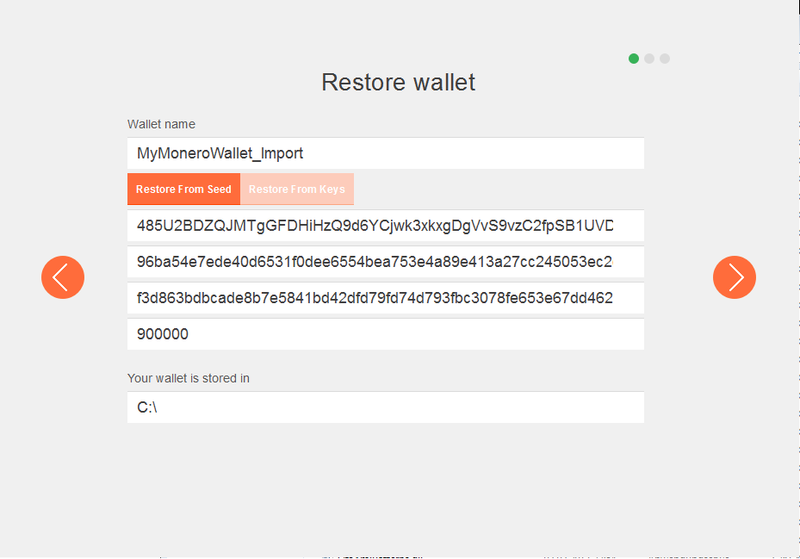 Importing a wallet from MyMonero into monero-wallet-gui is easy. 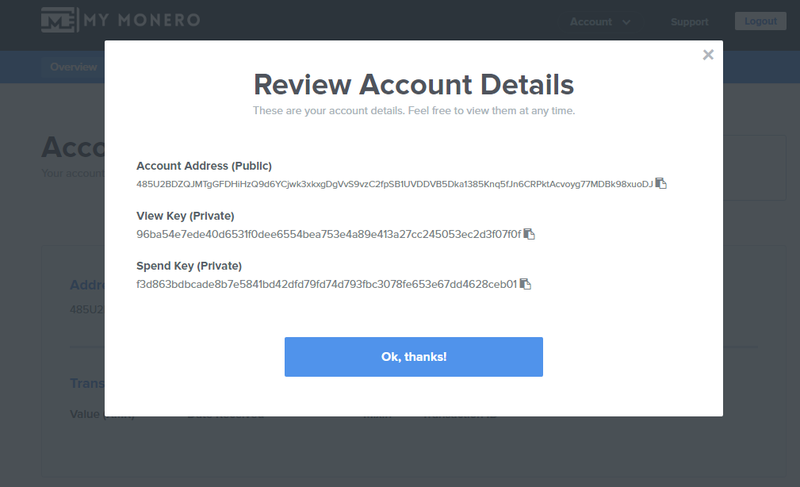 Now Enter you Account Details from mymonero.com. As Restore height, use the height of the first transaction to your wallet minus 20k. Thus, if the first transaction to your wallet was included in block 1350000, use 1330000 as restore height. You can check the height of the first transaction to your wallet by entering the transaction ID / hash in a block explorer like, for instance, XMRchain. Now you can click the Next Button and set a password for your wallet. On the next page, click "use monero" and you are ready to go. If you only use your Private View Key, a View-only wallet will be created. This Feature is only available in monero-wallet-gui beta 2 and higher. You need to sync up with the network so you can see your transactions and balance. If you want to use a remote node, use this guide. Not the answer you're looking for? Browse other questions tagged monero-wallet-gui wallet-recovery or ask your own question. How do I use my MyMonero wallet via the Monero Core GUI? How to use my 13 word MyMonero mnemonic seed with the GUI/CLI without accessing MyMonero? How to get an external wallet to work on monero-wallet-cli? How to create a 12 word brain wallet seed that is compatible with monero-wallet-cli? 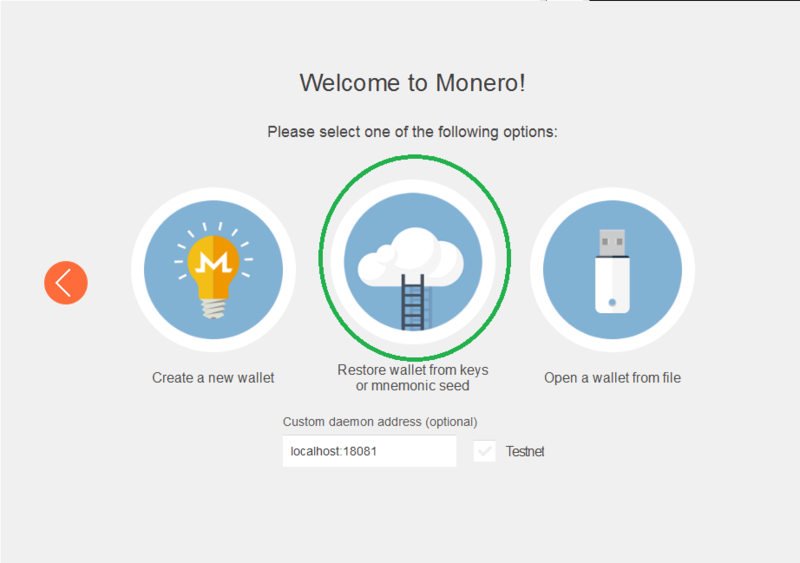 How to generate Monero wallet without displaying keys/seed on the screen? Minimum amount of keys needed to recover funds?